One day I began to look for a new pasta salad and I found one that combines both Caesar and pesto! I knew that I had to try it right away. The wonderful thing about pasta salads is that you can adapt it to your taste. Don't like olives? Leave them out. Want to add chopped red bell peppers for color and taste? Go ahead. It works in this recipe. Pour pasta into a medium-large bowl. Cover and place into refrigerator until ready to eat. Source: Recipe adapted from The Country Cook to whom I owe a very special thank you! Hi there! 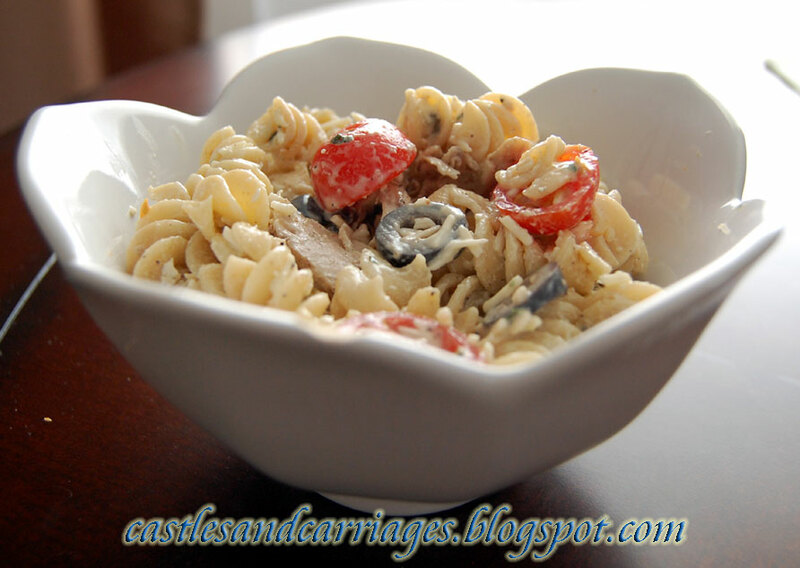 So happy you liked this pasta salad. It is one of my favorites. And that is so true about pasta salads, there is a lot of wiggle room. Thank you so much for the mention. Hugs to you! I've made this pasta salad several times now. Each time I've made it a little different but it's soooo good :) Thanks again for letting me share!